The message today is more of a testimony. I believe it is important to share things that happen to us and that can encourage other people. I like theory but I like application even more. 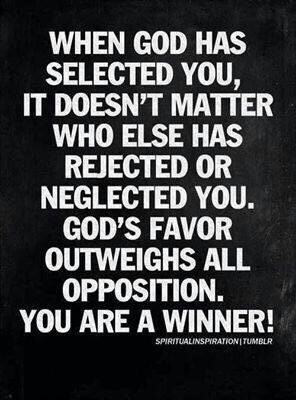 God is a God of application. He’s an active God and it is good to talk about all the things He does in our lives. 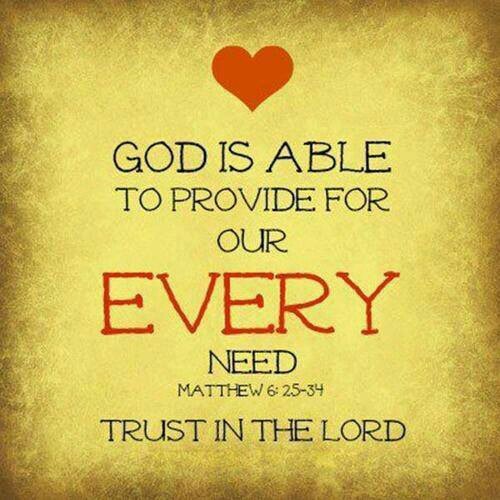 I often talk about trusting God for blessings and knowing that He cares about our every need. If we engage with God on a personal level, He gets involved in our lives on all levels. I have put my trust in Him when it comes to finances and He has proven time and time again that He loves taking care of that aspect of my life. Surrender and trust go hand in hand. I have been tutoring on top of teaching for over ten years. Tutoring is a very lucrative side business. I also like that it helps find out more about students’ weaknesses and how I can improve my teaching. In January I prayed about my finances including tutoring. Here is what happened after I turned all over to God. I had heard for a while that God was the God of more than enough but I had not really experienced it. My mentor taught me that faith paves the way for big changes in our lives and when it comes to finances, faith can make a difference. It’s a question of believing that God is interested in our finances and that we can get more than enough. If you are having money issues, take your issues to the bank meaning take them to the One who has all the resources. I had trouble believing in that before. It was not something I focused on and I wasn’t sure where to stand. Do ask Him for help and do believe that He will help indeed. I suggest you do it for yourself and see what happens. I was taken aback by the results. I sat down with my mentor in February and her words of encouragement about finances stayed with me. Words of encouragement can give you a great boost. What my mentor reminded me was that with God there are no limits and I needed to trust that. She said that I would tutor a lot this summer and it will just take off like never before. Tutoring last summer was weak. I only gave a few lessons. The summer before was almost nothing. I tutored one girl, one day for one hour. During the school year I did a bit more. Now in June a lady contacted me saying she was wondering if I could tutor her two kids all summer for 6 to 8 hours a week. She had asked one of my friends but he was going to be in Australia most of the summer. Tutoring those two boys was a great blessing and not just financially. They turned out to be great kids that I connected with. I enjoy tutoring them a lot and we even have fun. I was also asked by a high student for private lessons. He needs 10 to 12 sessions. Then another person from another town got in touch with me for weekly tutoring sessions. Now all these people came to me. I didn’t have to go look for them. The way the Lord orchestrated the whole thing is mind blowing. I have tutored this summer more than I have ever had during a summer and during the school year. I will also be tutoring two kids I had tutored before in the next few weeks. They need some refresher lessons. God opened the floodgates. It started with a decision to release it all to Him and to trust even when all was silent. Then the words of encouragement lifted my spirits up and finally it all came together the way God had designed it. Stay encouraged, friend. Surrender and trust. Let God be in charge of your finances! Have you ever felt like you were a prisoner of your circumstances? Have you ever felt like your problems kept you in a prison cell? Trials and tribulations can keep us in chains. Our mind can be a self-inflicted life sentence that holds us in jail. When I find myself in a difficult situation, I remember what happened to Paul and Silas in the Bible. They were unfairly put in jail while they were doing God’s work. To make sure they wouldn’t escape, they were thrown in a dungeon and their feet were clamped in the stocks. Talk about being in a dire and desperate predicament. I am sure their problem seemed horrible to them. However, instead of falling into the trap of despair, they sang hymns and prayed. Their attitude is a perfect example to be followed. Now, around midnight, there was an earthquake, the prison was shaken and the doors flew open. The chains of the prisoners fell off. Friend, you might be going through a lot today but let me tell you that your midnight is on the way. God is about to shake your world and open the doors of your cell. The chains are about to fall off. Hang in there. He is going to set you free. The way Paul and Silas react to their condition in jail is exemplary. They set a great example for us. You probably noticed that instead of crying, they sang. Instead of complaining, they prayed. Their circumstances didn’t change their connection with God. Their jail time didn’t change their daily routine of praising God. Their dilemma didn’t keep them from singing hymns. How many of us can say that when life hits us hard we just keep on singing and praying to God? Let’s have a Paul and Silas reaction to life, friend. Let’s exhibit extravagant faith that enables us to have fun while we are going through the furnace. It’s totally the opposite of what we feel like doing but what’s folly to man is wisdom to God. With Paul and Silas we are in the company of two very wise men. Let’s try it their way. It worked wonders for them. As we celebrate and keep on enjoying life as usual in the midst of trouble, God will intervene. It might not be a physical earthquake but it’s going to be a spiritual tsunami that is going to reverse your worst situation. Midnight is late in the day. This symbolizes that they received their freedom late when most people would not expect anything to happen anymore. They didn’t give up. They didn’t give up when most of us would. Midnight is coming, friend. Don’t worry about how late it all seems to be. It will happen. In the middle of your night, in the middle of darkness, God is going to open the door and bring the light in. He is going to take you out of the dungeon. 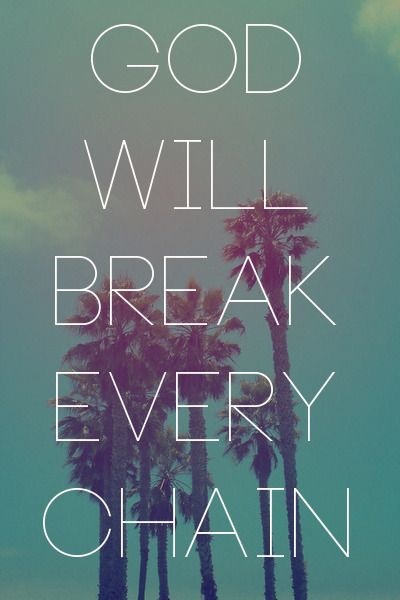 He’s going to break the shackles and let you walk free. 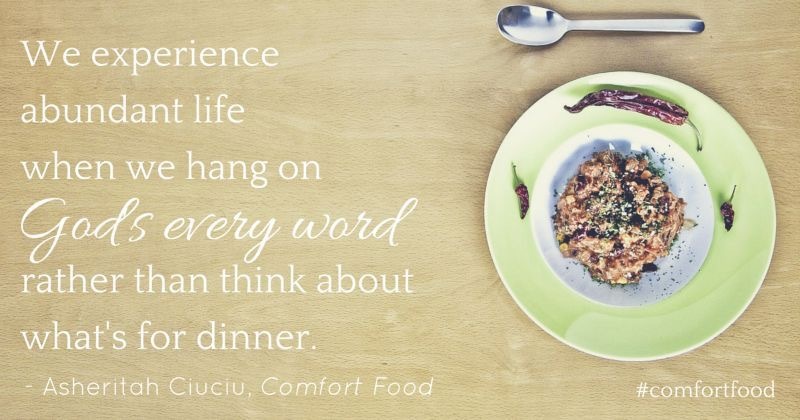 It could come to you as a surprise when you least expect it. Just keep on doing what you do. Keep on praying, keep on hoping, keep on believing. Take your eyes off your problem and fix your eyes on your midnight hour. Stay encouraged. There are no chains and no prisons too strong for our Lord. Midnight is coming! 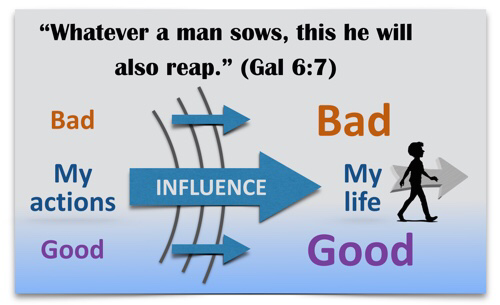 Galatians 6:7 explains that “A man reaps what he sows.” It is a principle that many people believe even outside of the Church. What are you sowing every day? What do you put out there? Are you aware of the dividends from what you plant? A farmer who sows corn will reap corn. A person who sows love will reap love. A person who sows hatred will reap hatred. It might not come into manifestation right away but it will show up eventually. Now, we sow things all the time. We don’t need to be in the fields to sow. We sow through our words and through our actions. To sow is to plant seeds. There are tons of seeds out there. There are the seeds of love, the seeds of hope, the seeds of malice, the seeds of deceit, the seeds of joy, the seeds of sorrow, the seeds of victory and the seeds of failure among many other seeds. Whether you are aware of it or not, you plant seeds all the time. You are the farmer of your life. There are good seeds and bad seeds. You can fertilize with God’s fertilizers or you can destroy with the enemy low quality products. Choose to sow the seeds that will produce bountiful crops. Crops that will feed you and others with abundance of blessings. The enemy likes to plant seeds in our minds but we actually do the sowing. He puts the seed of doubt in our head so that we end up with weeds that corrupt our harvest. Sow faith by acting on God’s Word. Sow those seeds of faith generously. Sow them everywhere you go. Be known for being a person of faith. When people give up on their crops, be the one to sprinkle their fields with words of faith. Be an encourager. Be a motivator. Don’t get intimidated by seasons of lack. What you plant will eventually grow. Winter might last a bit longer than usual but your spring is coming and with it new crops of blessings will be popping all over the place. Sow faith and you will reap faith. How? As you present faith to the world, the Lord will give you reasons to believe even more. He will act on your favor and what He does for you will boost your faith. I’ll never get tired of proclaiming that sowing love is the best thing you can ever sow. Sowing love takes on many forms. An act of kindness is a way of planting seeds of love. Taking the time to help someone is sowing love. Praying for someone is a big seed of love. Find a creative way to sow love. Find the best way that you can sow love. As you plant those seeds, you will be doing God’s work and you will be changing lives. Your seeds of love will grow into beautiful plants that will vibrate with life and hope. Plant hope. Let the seeds of hope fall into solid grounds. You will reap more hope for the future. Just remember that your words and your actions are seeds. Choose them carefully. What you sow is what you reap so you want to make sure that you are giving your soil the very best. Just be patient with it. Sometimes it will take a while but you will get results. Happy planting. It’s harvest time! “Thank you” are two simple words that go a long way. I love hearing those words spoken not just to me but in general. I think it is so nice and actually powerful when someone takes the time to say “Thank you.” We teach those two words to children knowing that those words will help them grow as good citizens. However, we tend to lose those words as we get older. They don’t always make it into the most spoken words among adults. There are choice words that take the place of this nice expression of gratitude. Gratitude is probably the most underrated attitude these days and yet it is vital in this world where hate is rampant. I am inviting you today to maintain your “Thank you’s” and to let them be louder than the disrespect and ingratitude that exist. 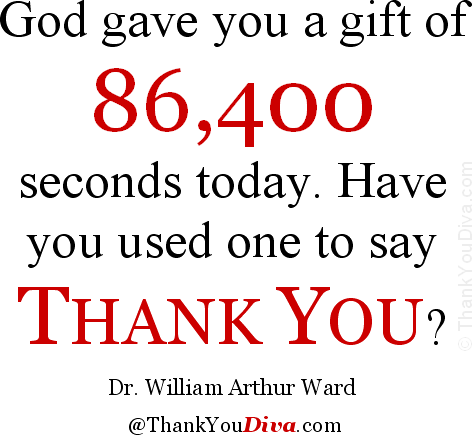 Let your “Thank you ” be heard. Thank the Lord at all times and thank anyone you can thank like it’s your job. “Thank you” will change your defeated mentality into a winner’s mentality. “Thank you” will enable you to win against all the harshness that seems to be prevailing nowadays. “Thank you” manifests kindness and we all need a lot of it. If you want to live a life of peace and attract good things into your life, say “Thank you” all the time. Thank the Lord for the smallest things. Let your attitude say “Thanks”. Show Him how much you appreciate all He does. The more you do it and the more blessings you will receive. “Thank you” opens many doors and it is the key to many problems. Now, take “Thank you” and combine it with faith and you have the winning formula. The two together speak gratitude for things that have not happened yet. They believe and they trust and they know there will be a way so they show their appreciation for what’s to come. Project your “Thank you’s” and project your victories. 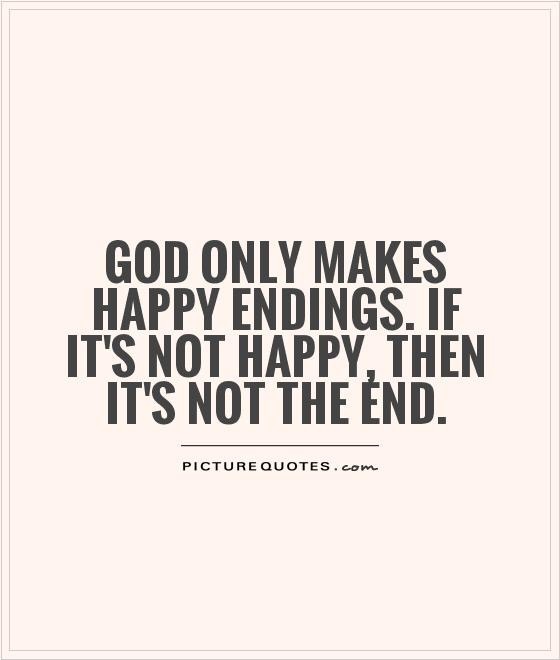 Be thankful for what’s to come. Show your faith by saying “Thank you, Lord” even when your mind wants to say “Lord, I really don’t know about this, Lord.” Thank the Lord for the battles He has won on your behalf. Stare at obstacles in the face and say “Thank You, Lord this obstruction doesn’t stand a chance.” “Thank you” spreads kindness and it calls for victory. Use those two words more. Be the kind and confident person you were meant to be. Thank you!